In Scripture we read: “He that covers his sins shall not prosper, but whosoever confesses and forsakes them shall have mercy” (Proverbs 28:13). In the Old Testament, confession was never exclusively a private affair between God and man. Rather, we have evidence that confession was always made in the presence of others. Lamak, by confessing his sins to his wives, limited his punishment (Genesis 4:23-24). The children of Israel confessed their sin before Moses and asked him to intercede for them (Numbers 21:7). Barlaam confessed his sin before the Angel of the Lord (Numbers 22:34). Achan confessed his sin before Joshua (Joshua 7:20). Saul confessed his sin before Samuel and asked Samuel for the pardon from his sins (1 Samuel 15:24). David confessed his sin before Nathan, and the prophet announced God’s forgiveness to David (2 Samuel 12:13). Eliphaz, Bildad, and Zophar are instructed by God to have Job offer up burnt offerings and pray for them for the forgiveness of their sins (Job 42: 7-10). In the early Church, the faithful would confess serious sins publicly and receive forgiveness from Christ through the Apostles and their successors, who were given the power to “bind,” or “retain,” and “loose,” or “remit,” sins, as we read in Matthew 16:19,18:18 and John 20:23. Saint John writes about people who refused to confess their sins publicly because they claimed they were sinless: “If we say that we have no sin, we deceive ourselves, and the truth is not in us. If we confess our sins, He is faithful and just to forgive us our sins and to cleanse us from all unrighteousness” (1 John 1:8-9). As the faith spread and the persecution of the early Church ceased, visitors, strangers, and the less committed began to come to Church more frequently. Hence, it became more beneficial – and practical – to confess one’s sins privately to God in the presence of only the “father confessor,” rather than in public. Not only did the confessor serve as a witness of an individual’s sincere repentance, but he provided spiritual counsel and guidance to help the penitent avoid committing the same sins in the future. He also proclaimed God’s forgiveness through a prayer of absolution. We may ask, then, why we confess in the presence of a fellow man, and not to God alone? There are two reasons for this. All sins are committed against both God and man, and thus confession needs to be made to both. Moreover, Christians are members of one another. They belong to Christ’s Holy Body, the Church. The sins that one commits affect the health of the entire Body. We, therefore, need to be accountable to each other, and not only to God. We need to humble ourselves consciously before God and man and receive guidance and prayer from others. We need this guidance, first of all because most of us are very poor judges of ourselves. We may feel that we are doing fine, when everyone else can see that we are not. Or we may feel like a spiritual failure; even when real progress is being made. We also need prayer and guidance, lest we fall into the dangerous spiritual condition of being self-willed – a state that manifests its presence when one lives independently from the faith community, or isolates himself or herself by thinking that this can be handled by himself or herself, or tries to be his or her own “spiritual doctor,” or goes in his or her own direction. This state is the mark of a soul that has fallen into pride. The person, however, who humbles himself or herself by giving a full and honest confession, demonstrates godly sorrow and a sincere desire to live a life free from sin (2 Corinthians 7:10). It is a sad commentary that people will pay large sums of money to secular counselors, “confessing,” so to speak, their sins, while avoiding the sacrament of confession and depriving themselves from the blessing of being cleansed by Christ. It is pitiful that people love to confess their sins publicly on television – and even delight in their scandalous lives – but have no thought of repentance. It is equally disconcerting that so many do damage to themselves and others by holding sins inside themselves due to shame, guilt, or embarrassment, never receiving the inner healing and guidance which comes through a grace-filled relationship with a father confessor. In fact, Saint James emphasizes this point when he says to confess “so that we may be healed” (James 5:16). 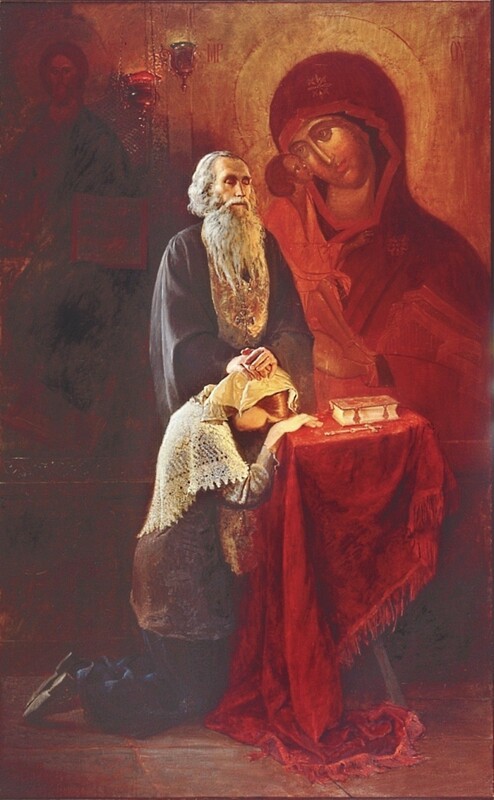 Most of all, while non-Orthodox groups like “Promise Keepers” and 12 step programs recognize the need for and importance of “admitting to God, to ourselves, and to another human being the exact nature of our wrongs,” many Orthodox Christians fail to avail themselves of the sacrament of Confession. May God give us the strength and courage to avail ourselves regularly of this spiritual medicine so that we may “lay aside every weight, and the sin which doth so easily beset us” (Hebrews 12:1).